ONTARIO – Toronto-based MacDonald Mines Exploration is making plans to take a bulk sample at its Wawa-Holdsworth gold-silver property 20 km northeast of the town of Wawa. The company holds fee simple absolute patents carrying both mineral and surface rights on the property. Therefore, there is no need to obtain bulk sampling or aggregate licensing from the provincial Ministry of Natural Resources and Ministry of Northern Development and Mines. Preliminary testing of mineralization from Wawa-Holdsworth resulted in gold recoveries as high as 98.7%. 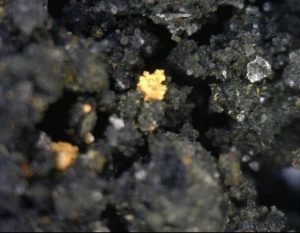 Mineralization at Wawa-Holdsworth includes an oxidized cap – the oxide sands – overlying a massive pyrite zone. Five zones have been confirmed over a strike length of 2,200 metres and in several test locations the oxide sands are over 8 metres thick. They are soft and relatively unconsolidated, and MacDonald says the material can be easily excavated with a backhoe and treated much like an aggregate product. A sampling program conducted in 2002 produced an average grade of 4.03 g/t gold and 30.89 g/t silver. MacDonald says that the shallow overburden, available labour, and easy site access should result in low mining costs. The company is currently sampling the mineralized material and completing a closure plan. More information is available at www.MacDonaldMines.com.